Tassel has been an interesting trend this year. We've seen it in jewelry, belts, but what about shoes? 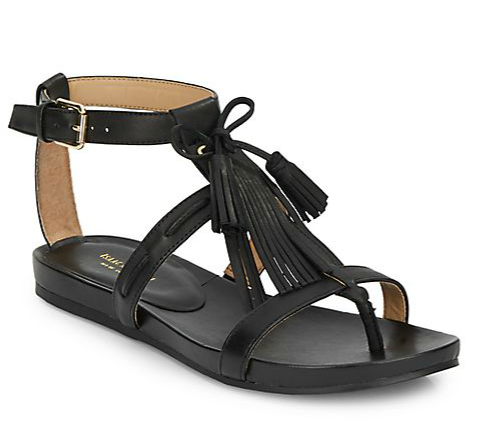 I really love the tassel sandal because it takes such a simple shoe and kicks it up a notch. I mean, hello. 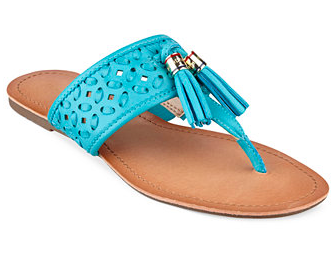 How much fun is this sandal? Color, detail, style it has everything. 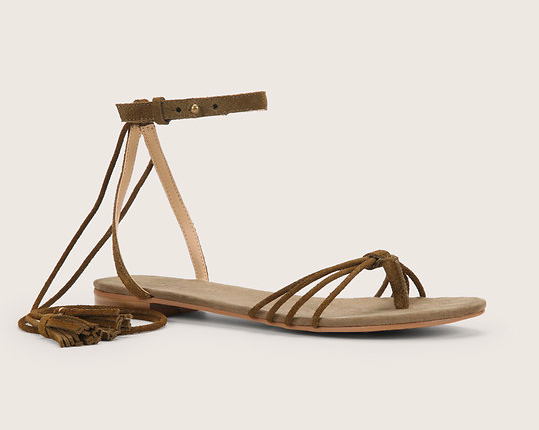 How effortless is this sandal? It is chic but in a not trying hard sort of way. Fun fact: gladiator sandals scare me. So I was thrilled to find these modified sandals in black or gold. A pop of color, anyone? Simple and comfy, these sandals work with maxis, shorts, jeans, you name it. 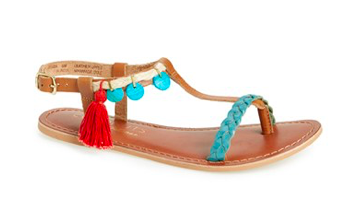 What do you think of the tassel sandal trend. It's much different then last week's bow shoes but I think it offers a subtle detail that dresses up your standard shoe.